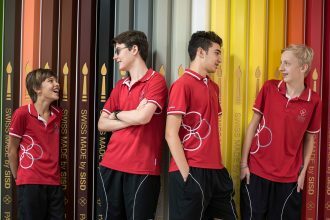 Swiss International School in Dubai’s boarding school is an excellent model of pastoral care. Parents can be assured that children who board with us will be nurtured and provided for. Reserved exclusively for existing SISD students, the flexi-boarding package is an addition to our full and weekly boarding options. Flexi-boarding allows students to remain on campus and stay at the boarding house for a minimum stay of 6 nights. There are many reasons why this option might be ideal for families. Students who have long daily commutes to and from school might prefer to break up their travelling during periods of high co-curricular commitments. In addition, students who wish to dedicate more time to prep and revision would benefit from being in school for longer periods. Occasional boarding can provide convenient support for parents with busy work schedules or allow them to take short breaks or holidays during term-time, without disrupting their child’s education. Expats know all too well the need for a flexible schedule for travel or emergencies. Having the option of flexi-boarding provides them with a solution for their children to stay with a trusted caregiver while they’re away. Flexi-boarding would also be highly conducive to collaborative work among classmates, allowing them to work together in person without time constraints of people coming and going home. SISD’s boarding school options can be tailor-made to suit your child’s needs, without sacrificing the quality of service that they receive while we host them. If you haven’t yet considered having your child board with us, this is a perfect way to ease them – and you – into what may very well become their second home!